Her posture is always beautiful. What is the difference with some other royal ladies? Ella hizo ballet en su infancia y adolescencia. Hoy hace yoga Iyengar. Sí, creo que también baila zumba con un grupo de amigas. 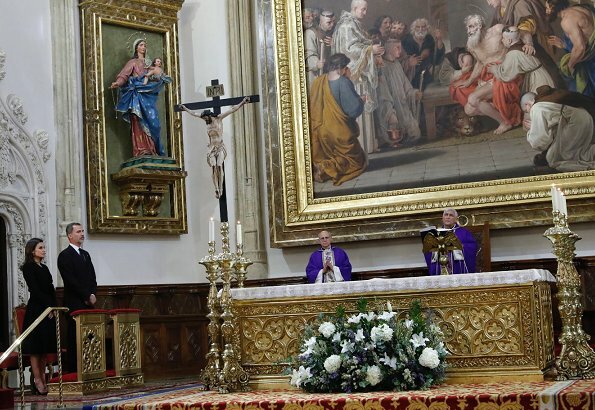 La reina Letizia es muy perfeccionista.Sobre todo consigo misma. "Bailarina" era su abuela paterna. Beautifully tailored and elegantly restrained look. 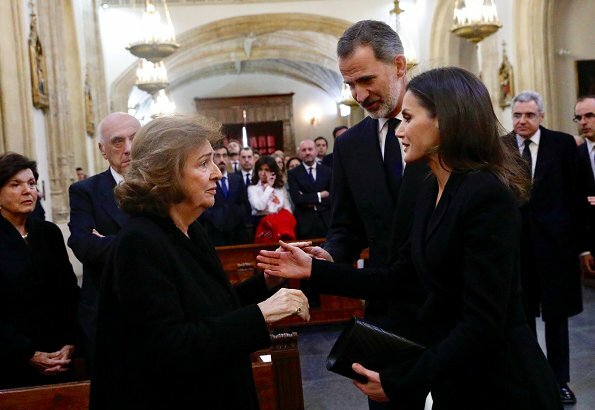 Doña Letizia va muy bien vestida acorde con las circunstancias. Letizia is very elegant and beautiful. I guess all of the critics that had problems with her boots and skirt are silenced here. Los reyes forman una pareja sensacional. She looks exquisite, there isn't much to choose for a funeral, but the coat is fabulous!! Simple, elegant coat today and also during the next 20 or 30 years! Classic is always a classic.